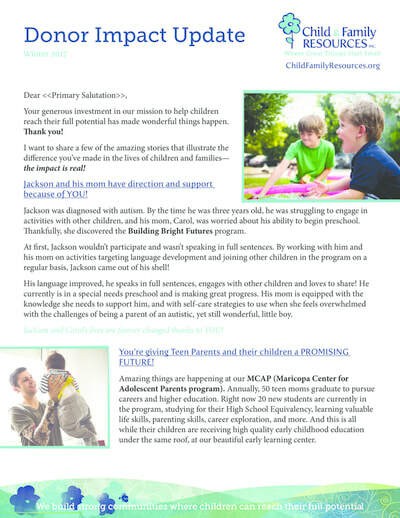 Fact Sheets, Program Profiles, Brochures, Postcards, Banners, Flyers, etc. 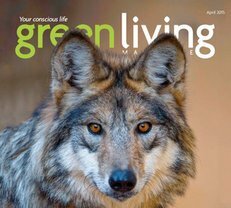 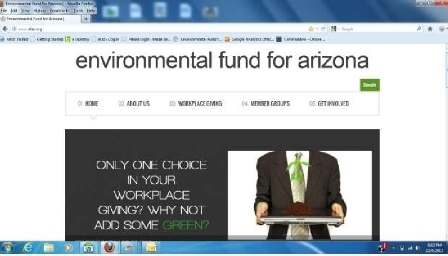 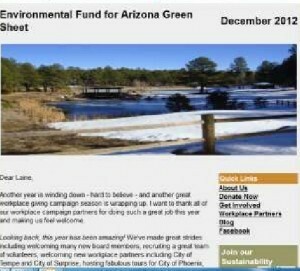 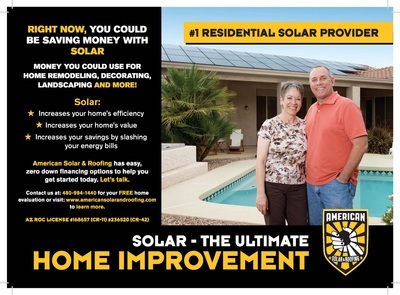 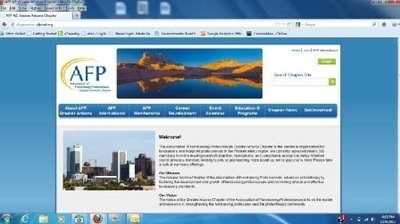 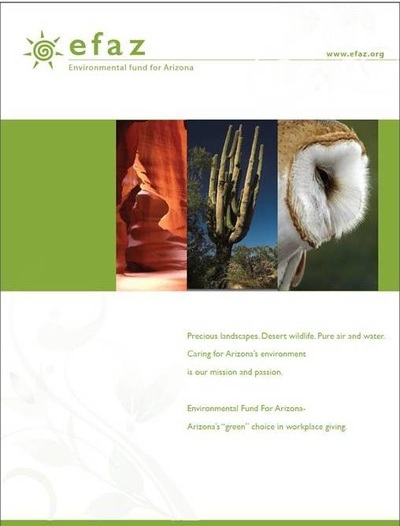 Planned and directed the development of new websites for AFP Greater Arizona and the Environmental Fund for Arizona. 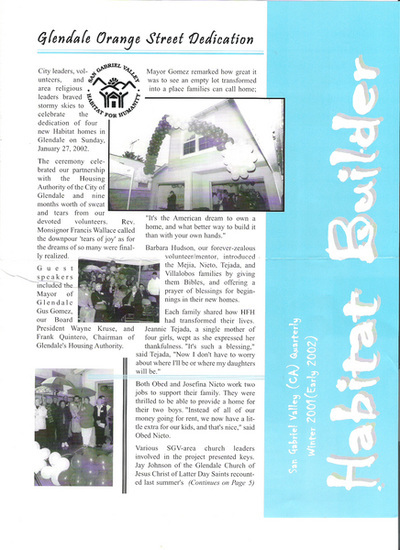 Wrote all copy and selected photos. 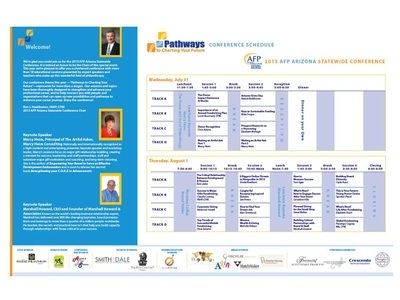 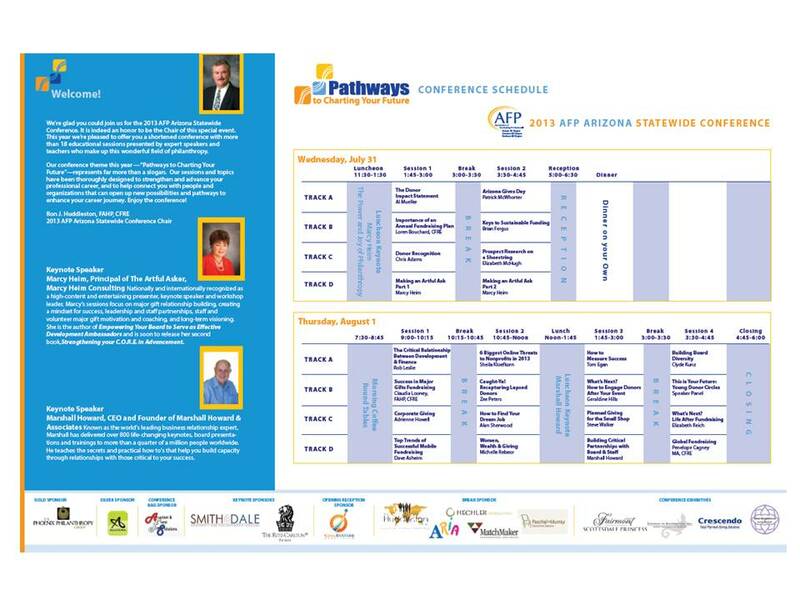 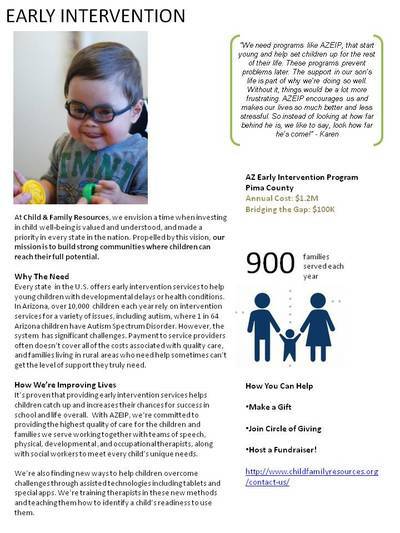 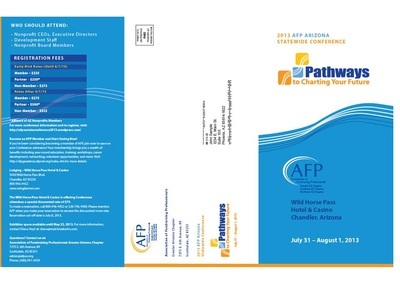 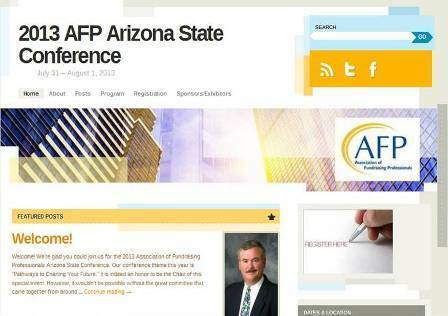 Designed and wrote all copy for AFP Greater Arizona 2013 Statewide Conference website. 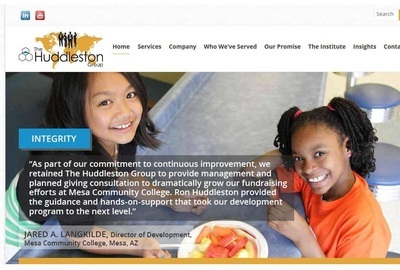 Wrote all copy for The Huddleston Group website. 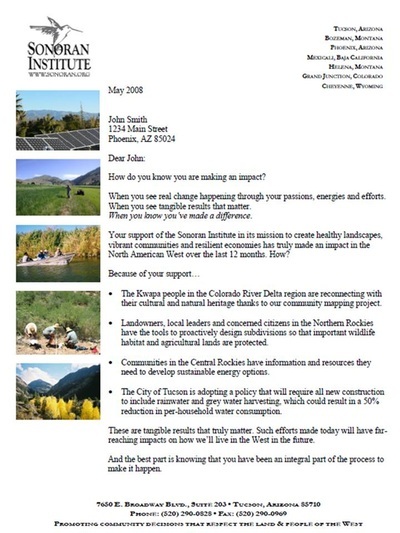 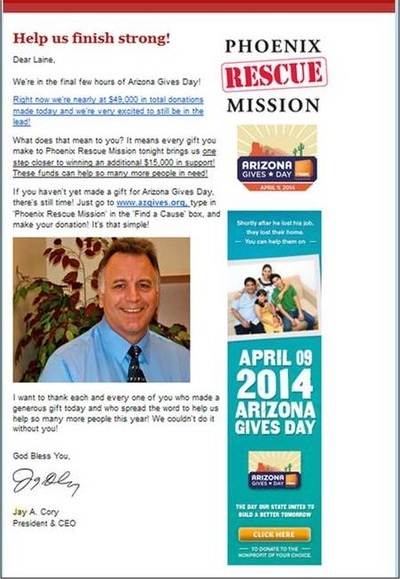 Generated over $43,000 in donor revenue via email communications. 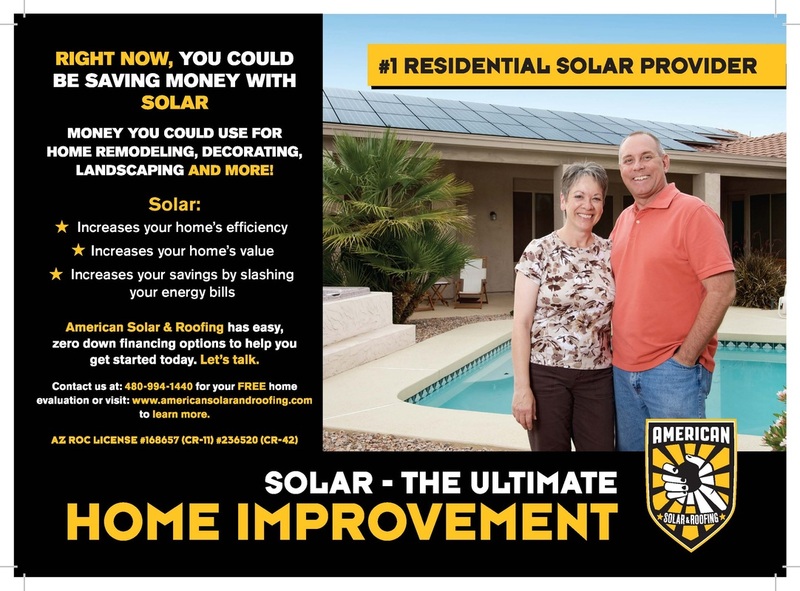 Received an average open rate of 8.5%. 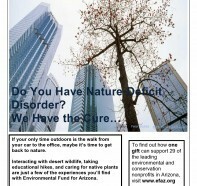 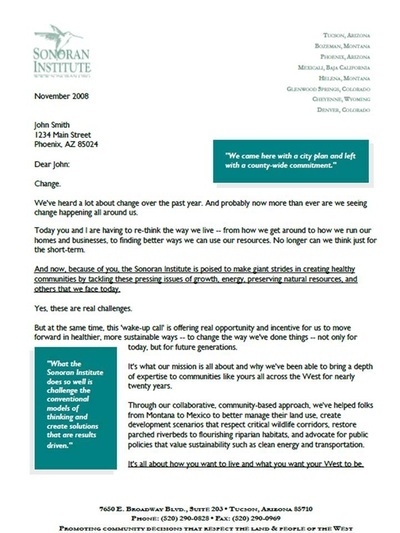 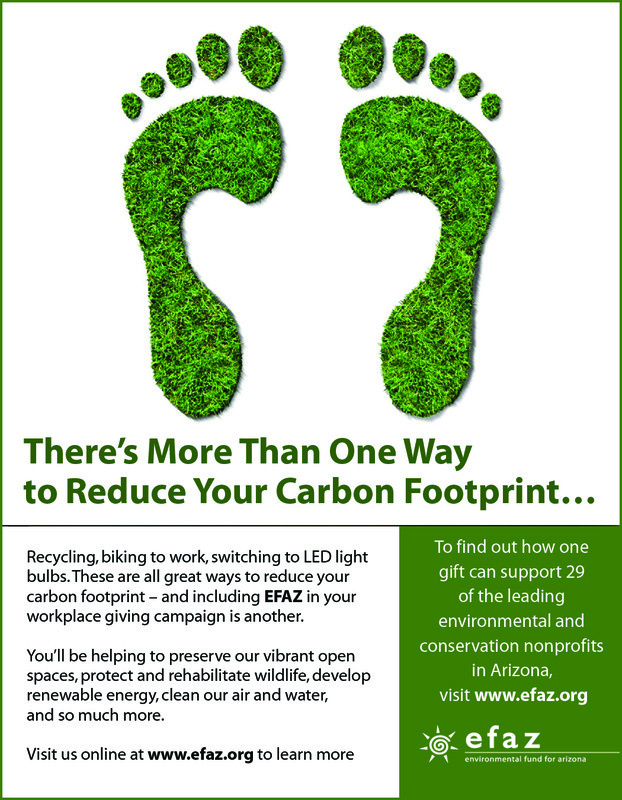 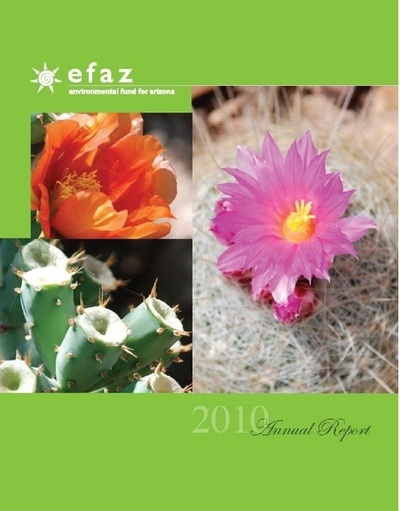 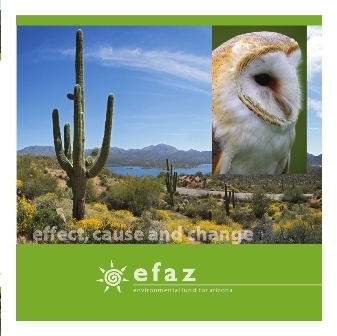 The Environmental Fund for Arizona (EFAZ) is a nonprofit alliance of 28 conservation organizations. 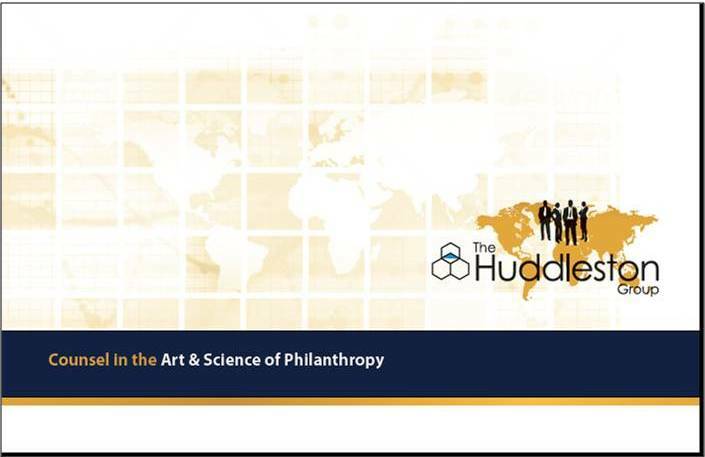 Launched in 2001, their mission is to collectively raise awareness and support for their member nonprofits, primarily through workplace giving (United Way). 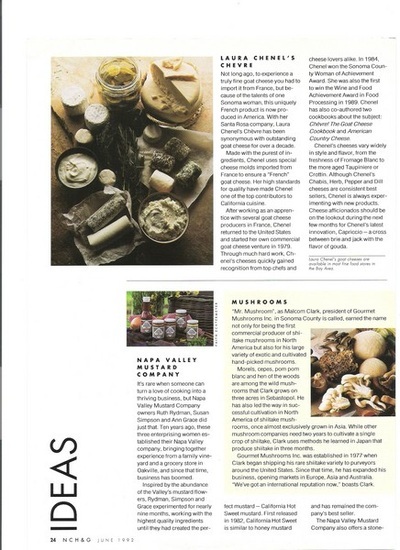 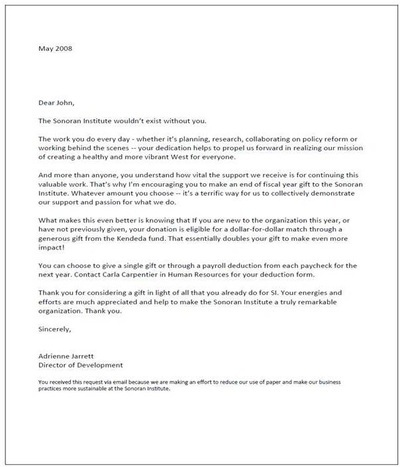 However, they hadn't developed a clear and unique brand, and didn't have marketing collateral to promote the organization. 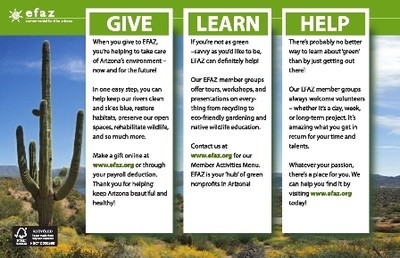 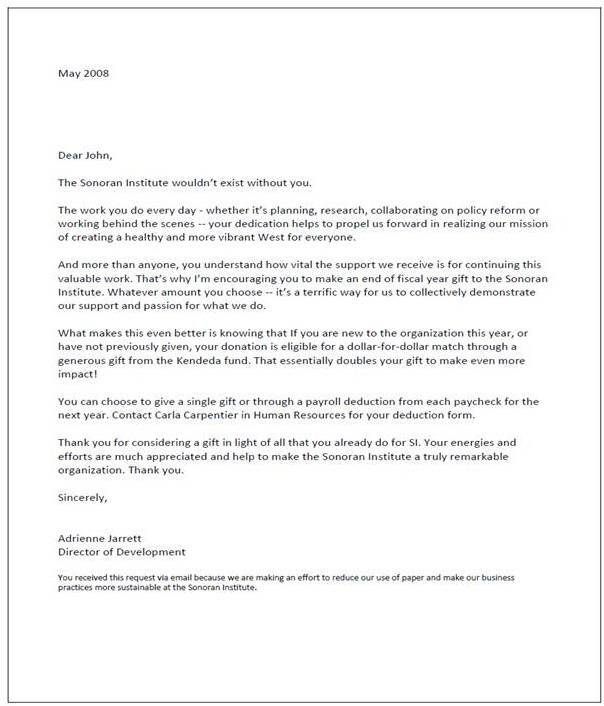 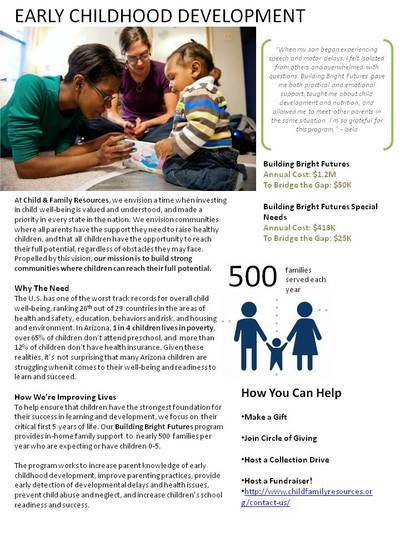 Persuading companies to include EFAZ in their employee giving campaigns alongside United Way was critical, so it required solid branding, sophisticated collateral, and persuasive messaging to make the case. 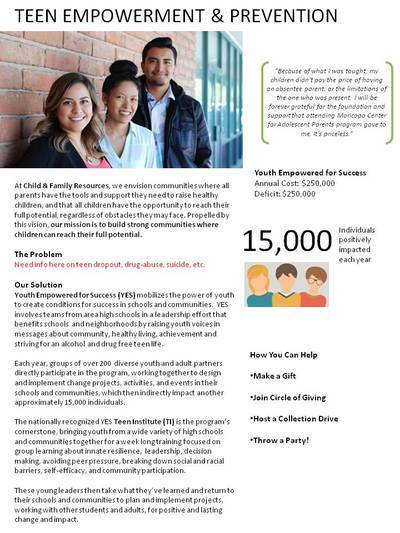 Collateral piece developed for general information, donating, and volunteering. 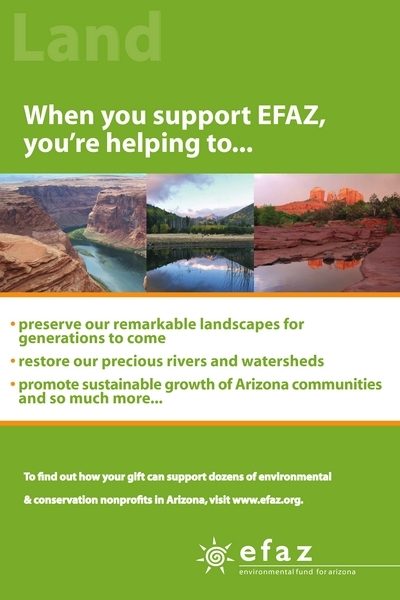 Poster featuring ways EFAZ preserves the land. 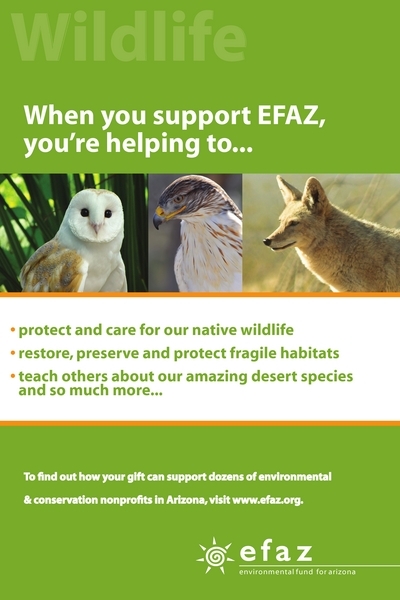 Poster featuring ways EFAZ protects wildlife. 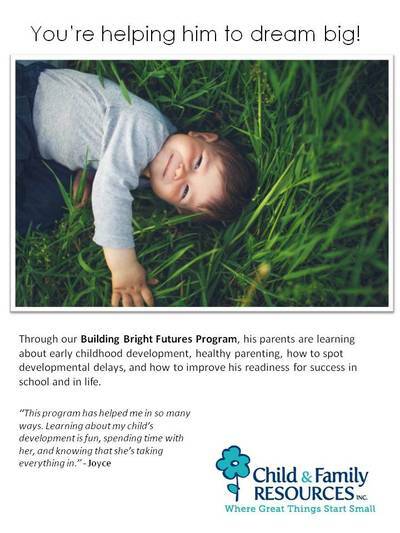 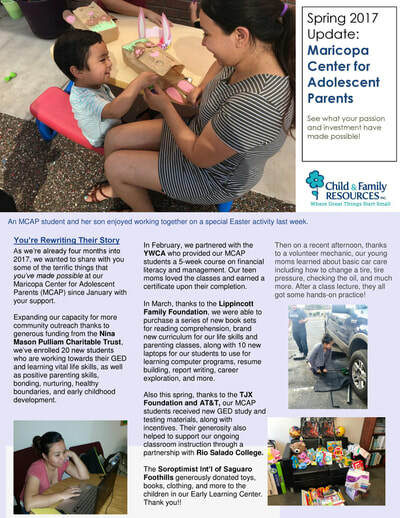 Green Sheet - EFAZ's monthly e-newsletter. 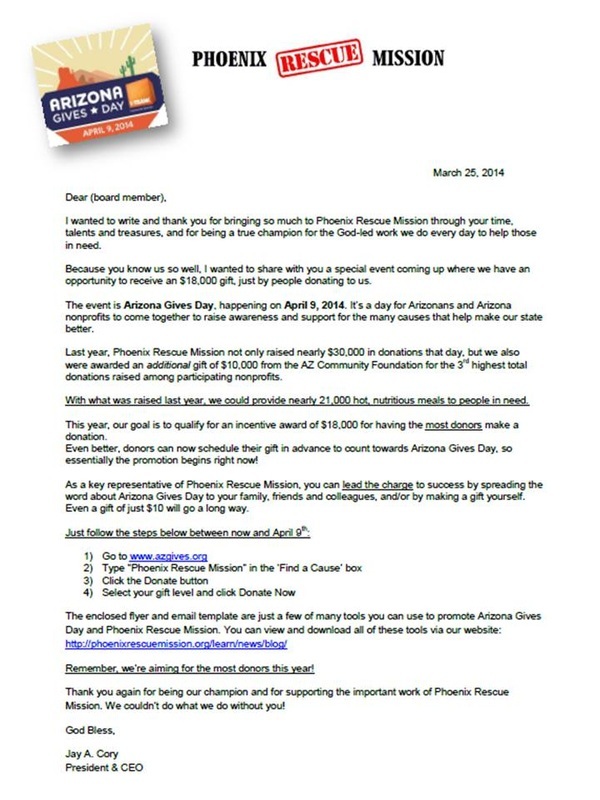 Started in 2013, Arizona Gives Day is a statewide event to raise awareness and funding for Arizona's nonprofits. In its first year, over 800 nonprofits participated in the event which raised nearly $1 million dollars collectively. 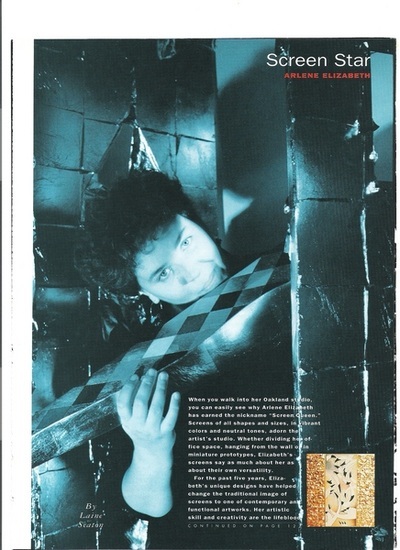 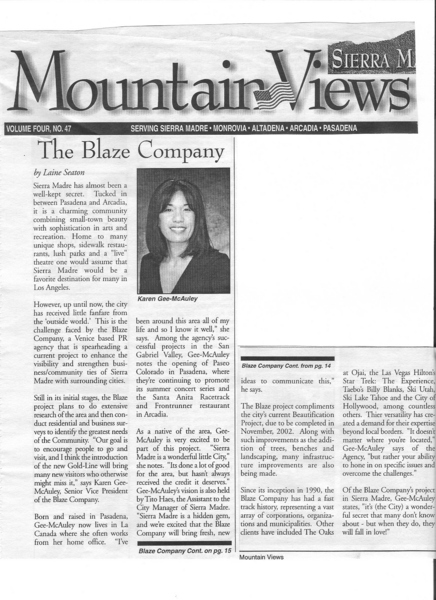 That year, Phoenix Rescue Mission raised over $27,000 and won an $18,000 incentive bonus award. 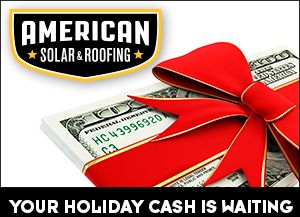 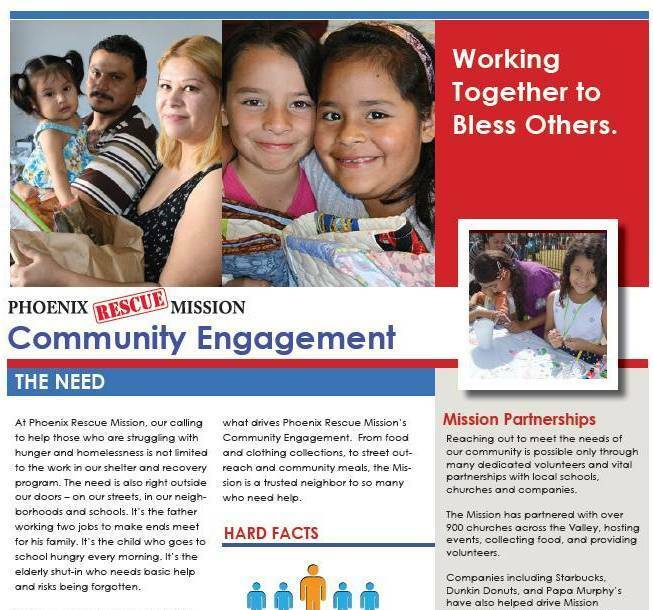 In 2014, Phoenix Rescue Mission's goal was to raise $30,000 and to qualify for an additional bonus award. 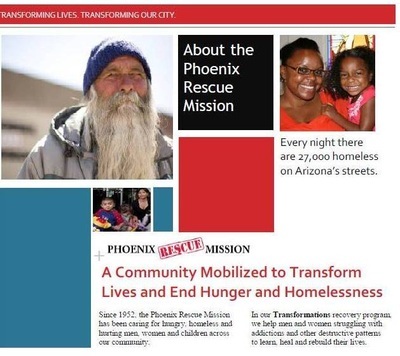 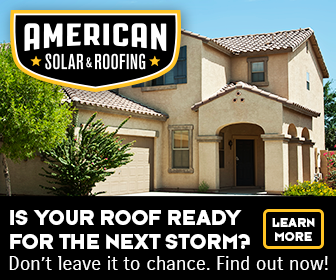 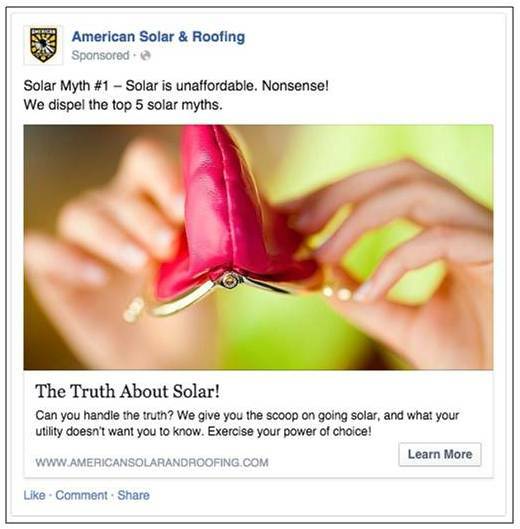 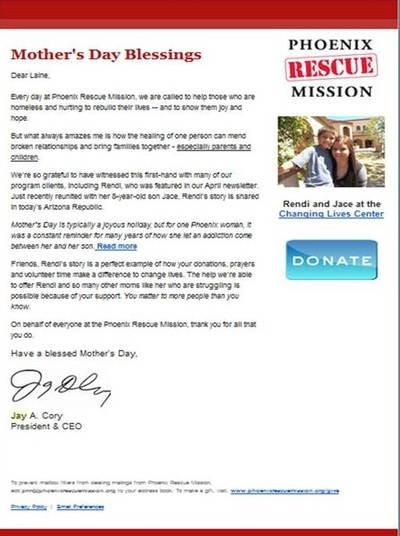 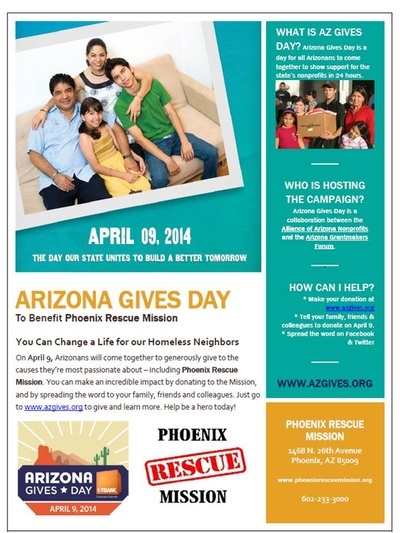 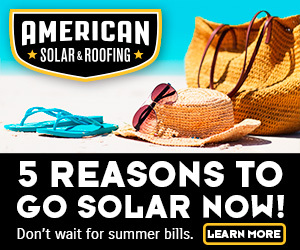 A multi-channel promotional campaign was developed for various audiences including Phoenix Rescue Mission staff, board, volunteers, donors, partners, and followers on social media. 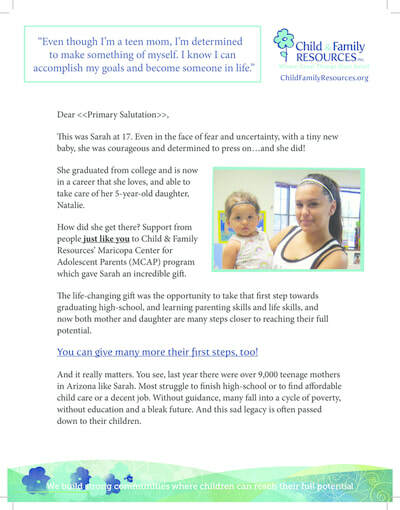 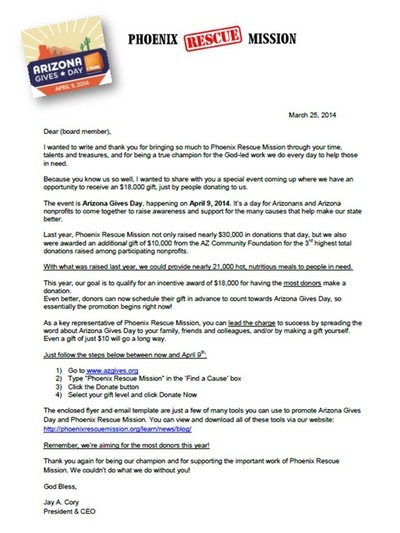 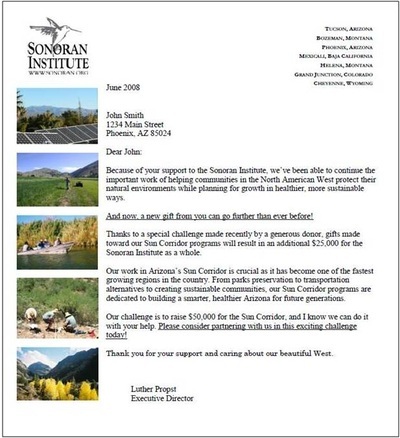 'Save the Date' postcards were sent to non-cash donors and volunteers (30,000), letters were sent to 2013 Arizona Gives Day donors, letters and emails were sent from PRM's CEO to staff and board, and flyers/posters were distributed at each Mission location. 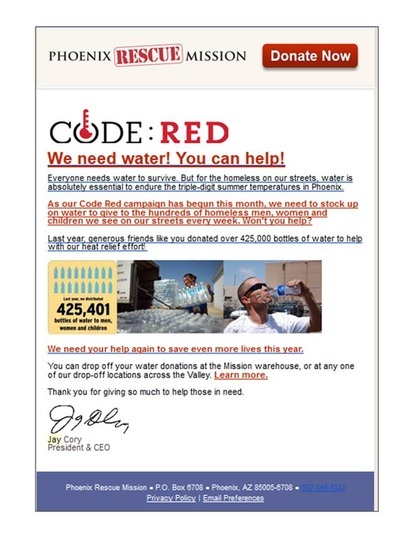 Other tactics included promoting the campaign via the print & digital newsletter, in weekly social media posts, email communications, and a phone-a-thon to select donors.